Marketing that enourages inclusion in specifications is a big part of what we do as a specialist construction marketing agency. But it’s by no means all. 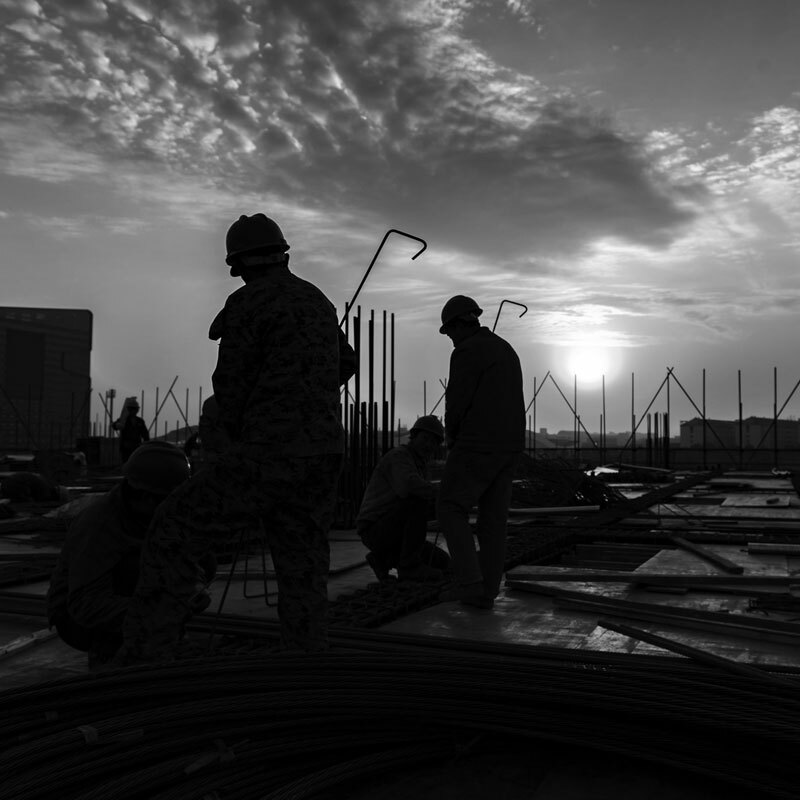 Serious construction product solution providers* should be providing a full spectrum of information and advice to a range of disciplines in the construction sector. * If you think of yourselves as ‘product manufacturers’…. well, try not to: you’re ‘solution providers’. Contractors, sub-contractors, installers and even self-builders rank highly amongst these other disciplines. It’s great to satisfy the demands of architects and specifiers and to have your product named in the spec, but the outcome won’t be good if the contractor and installer find your products difficult to handle or install, or worse still, if they fail in their application because of a lack of clarity, or detail about how they fit together with other products. b) be reluctant to work with the same components again and therefore be more likely to break the spec with a similar product. Either or both of these are bad for you. The solution is to provide easy-to-understand, clear and comprehensive sitework and installation marketing material. Yes ‘marketing’ material. If it’s good and does its job in the eyes of contractors, they’re on your side, well disposed to your products and will go to bat for them with other parties in the construction chain. All that pushes your product up the specifiability ladder. The approach for producing effective sitework and installation information is not disimilar to that of producing it for specifiers, although the content is different, of course. That approach is: set everything out in the right order; be comprehensive, but concise; break down information into step-by-step sequences; use lots of illustrations and images…oh, and use LOTS of illustrations and images, and if you can, animations and movies too. 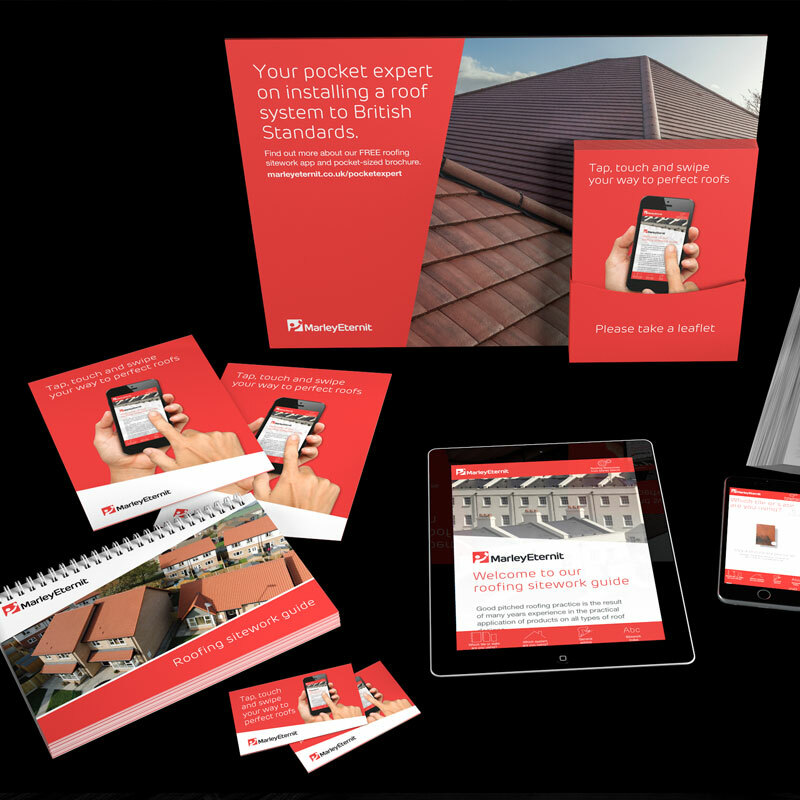 Let’s have a look at a printed example for a pitched roofing products manufacturer. Firstly, it’s A5 size, so it’s easy to handle on site and fits in a pocket. Secondly, it’s wiro bound. This means it’s robust and the user can flip pages over and see the specific page they want without folding things up (and keeps it at A5 size). Thirdly, it’s available as an App!…But more of that in a minute. 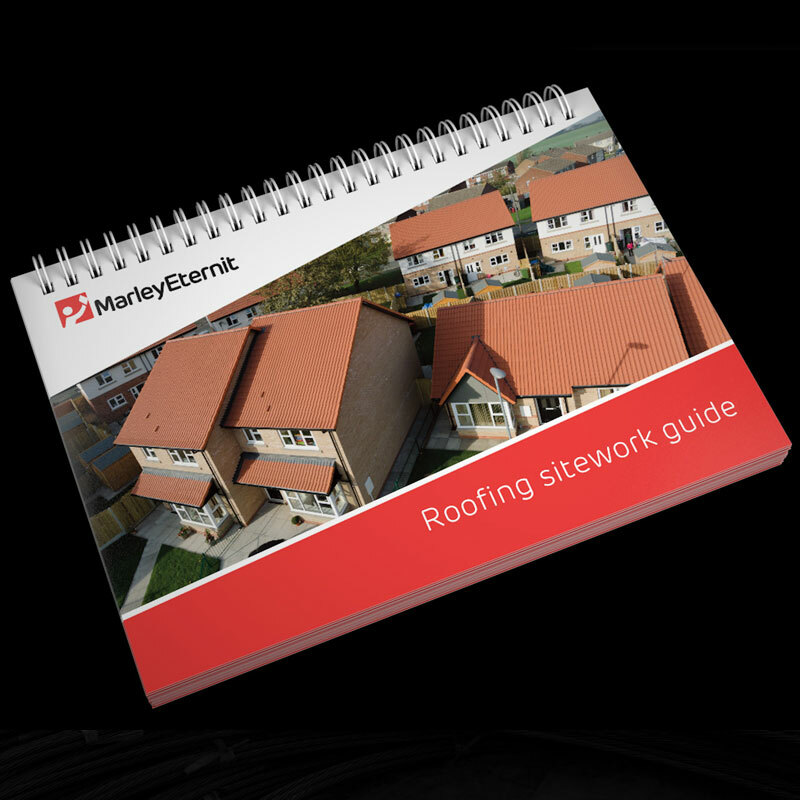 This guide has in it everything that an installer or roofing contractor needs to know. From storage and handling of the products before installation even starts, to health and safety advice, recommendations on ancillary materials and then, naturally, step-by-step preparation and installation procedures for every aspect of the roof using every system the manufacturer offers. All illustrated with 100s of easy-to read, annotated and captioned drawings. With this amount of information in one document, it’s vital that contents and sub-contents precede every section, everything cross refers to other sections and that you can find what you want quickly. Yes, it’s printed, but that does have some advantages on site. The batteries don’t run out, it doesn’t matter if it get’s dusty, or even a bit wet, you can write on it, share it round easily, even tear bits out if you need to…. But I’ve got to be a bit careful here, because we do have an App version of it for mobile devices. That does have the above drawbacks but it also has equal, though different advantages. 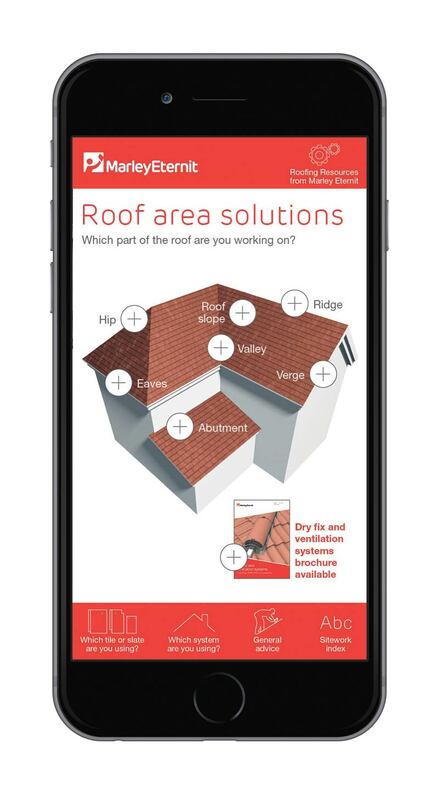 This site work App – branded as the ‘Pocket Expert’ – complements the printed guide and is an interactive tool to help contractors and installers, identify, work with and install the full range of Marley Eternit roofing systems. It’s also an important source of information for specifiers, merchants and main contractors. It contains all the information from the printed version, along with 3D rendered animations and film footage showing how various components are assembled. Users are also able to access other information sources, such as on line tools, websites and e-brochures via the app. More importantly, is that, once downloaded, the ‘Pocket expert’ – the main content of the app – is accessible at all times from phone or tablet, internet connection or not, so can be used in the office or on site, even in remote locations. All the features usually associated with apps are present and correct: swipe-ability, zoom, embedded, animated content, and the ability to move very quickly through menu structures to get to the critical piece of information that’s required, minimising effort and time. Plus, we know how many downloads there have been in the last 2 years – more than 4500 – across the iOS and Android platforms, so we can see some concrete ROI. The point is, not that print is dying, or that digital is king, but that both have their place (budget permitting), and most importantly that integrated knowledge delivery from top to bottom is supremely important, whatever the medium. The discipline to create the content (substance) as well-structured, well-written, well-designed and comprehensively illustrated, user-friendly material is what counts. That’s what we do. And once done, all that good substance can be re-engineered for print or pixel in a coherent and convincing way that gets contractors and installers on board.